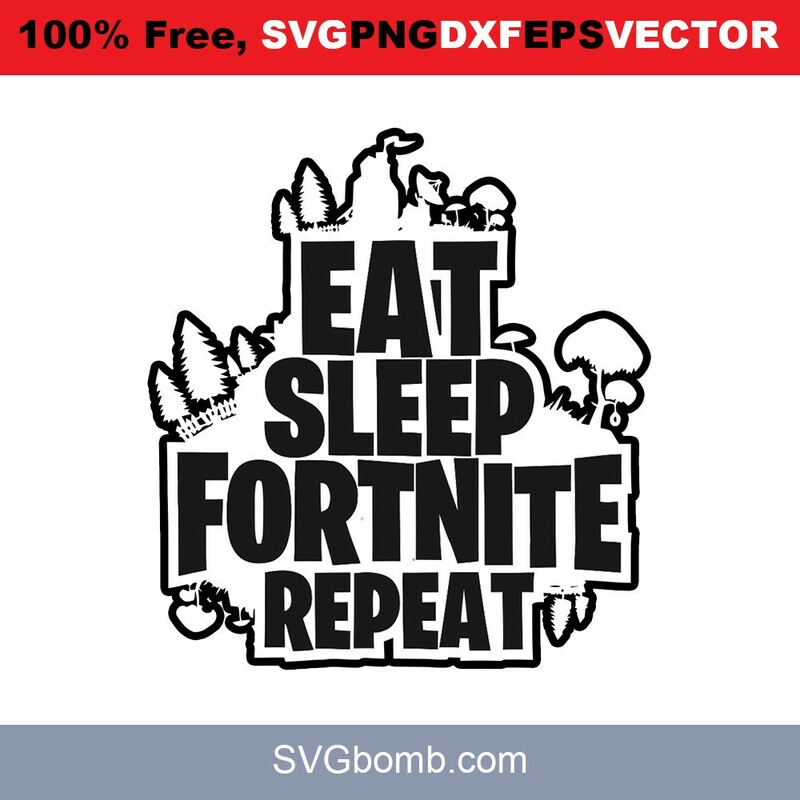 This svg file/fortnite quotes svg makes it easy for you to make a vinyl or DIY project. at this time indeed fortnite games are loved by many people. so if you intend to give a gift to someone who likes to play fortnite, the svg file above is very cool to apply to the design of clothes, hats, posters, mugs and more. good luck..
Free SVG cut file, Eat Sleep Fortnite Repeat. This file can be scaled to use with the Silhouette Cameo or Cricut, Brother Scan N Cut cutting machines. Don’t forget to use password “svgbomb”. Thanks for visit, Fortnite SVG plase share on your pinterest. Files cannot be uploaded to any Print-On-Demand website. #freesvg #vector #silhouttecameo #svgcutfile #freedxf #dxf #png #lovesvg.